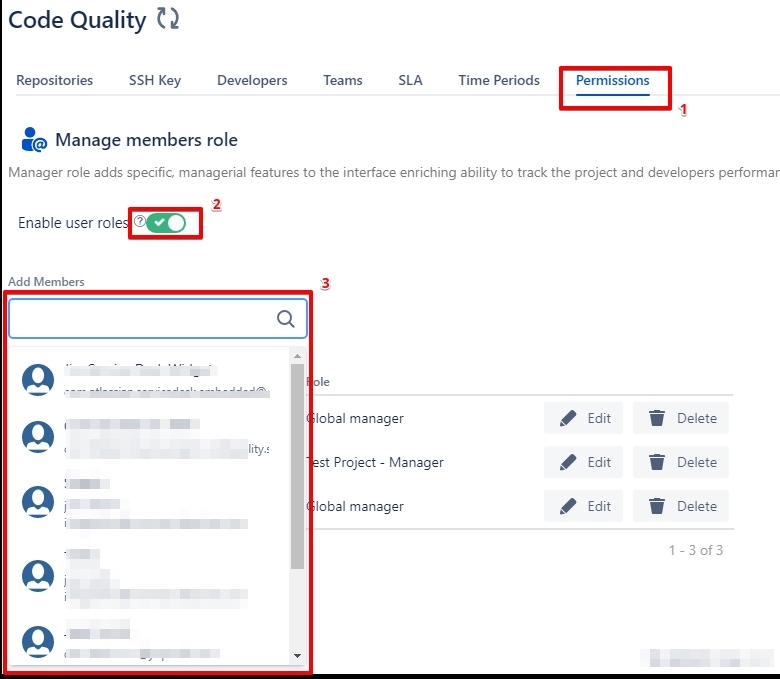 How to manage user roles - code quality for jira | how-to's - Code Quality Products @ Diligences Inc. 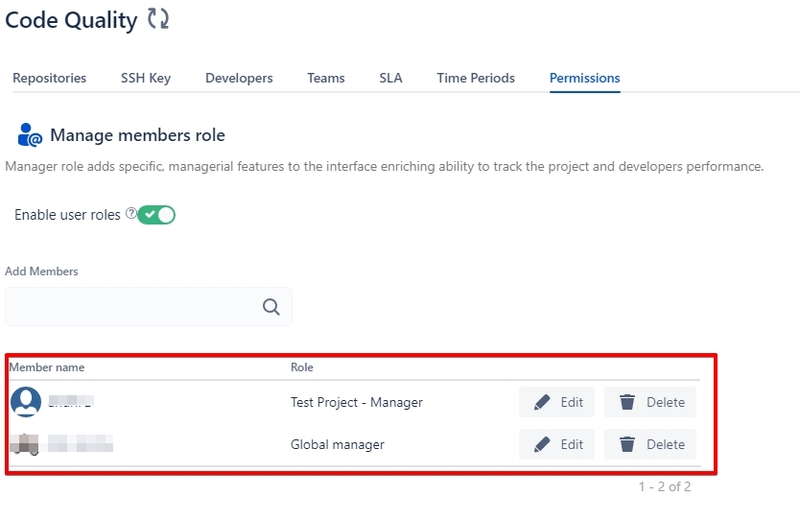 It is possible to manage user roles in “Permissions” tab in the add-on settings*. The following roles are available: Project Manager, Global Manager. It’s possible to grant Project Manager or Global Manager role to any Jira user. A manager can see Manager Dashboard for the corresponding project. Global Manager can see “All Projects” view. 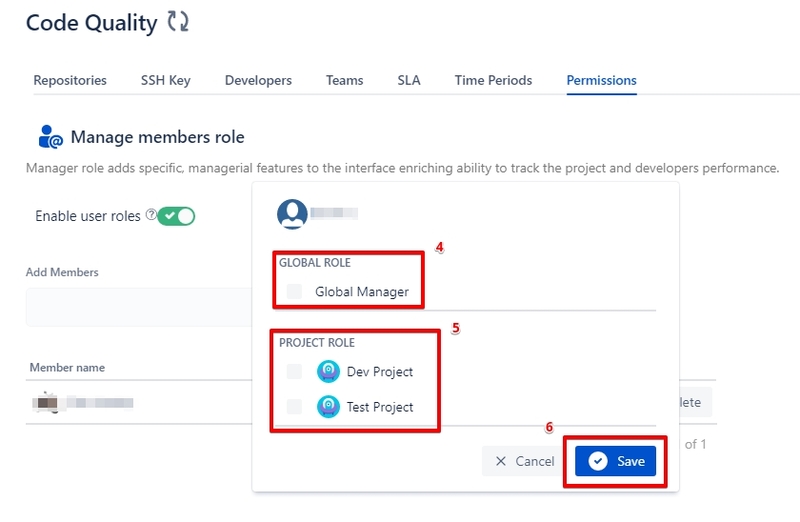 Tick the checkbox in the “Global Role” (4) or “Project Role” (5) section and click the “Save” button (6). User with Global Manager role can see Manager Dashboard for all projects. User with Project Role can also see Manager Dashboard for project.